Alright, so today I’ll be reviewing the ARF trooper helmets. 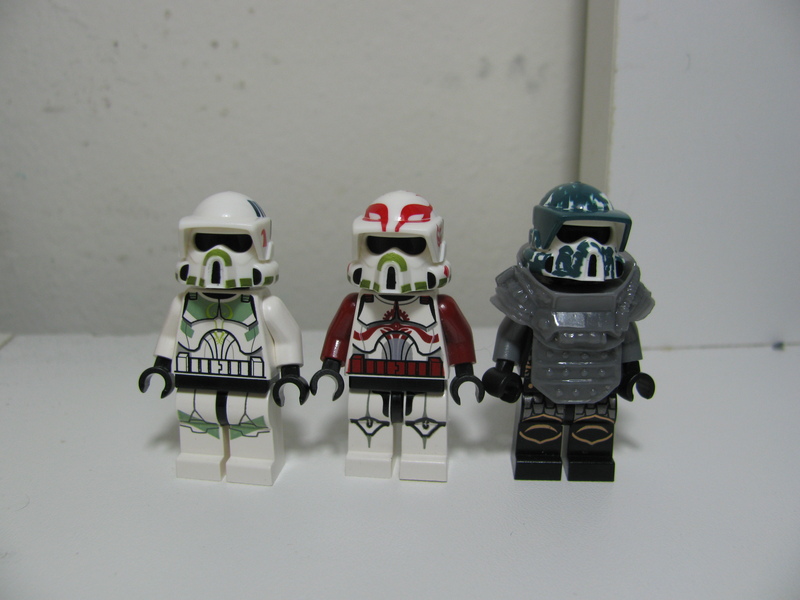 How I put the figures together: ARF Trooper: Body from the new Lego Star Wars Clone Battle pack / Rancor Trooper: Commander Fox torso with custom print legs from bricklink / Camo ARF trooper consists of a KZ Body armor from Hazel Fantasy and the body from the new Lego Kingdoms sets. Each of these presents a good amount of detail; not to mention Arealight did do a pretty good job on matching the reference photos as usual. 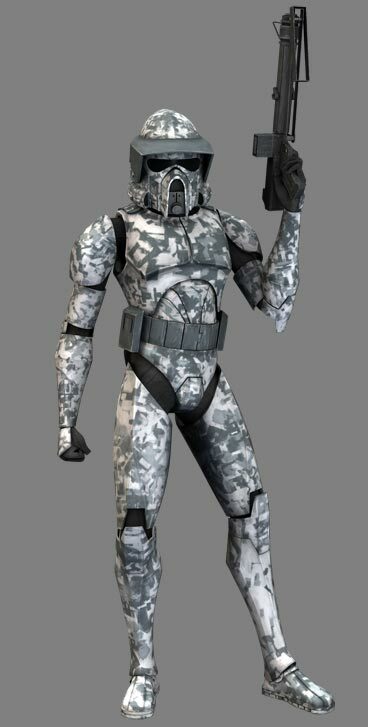 The best starting place would probably be the typical ARF Trooper Helmet. 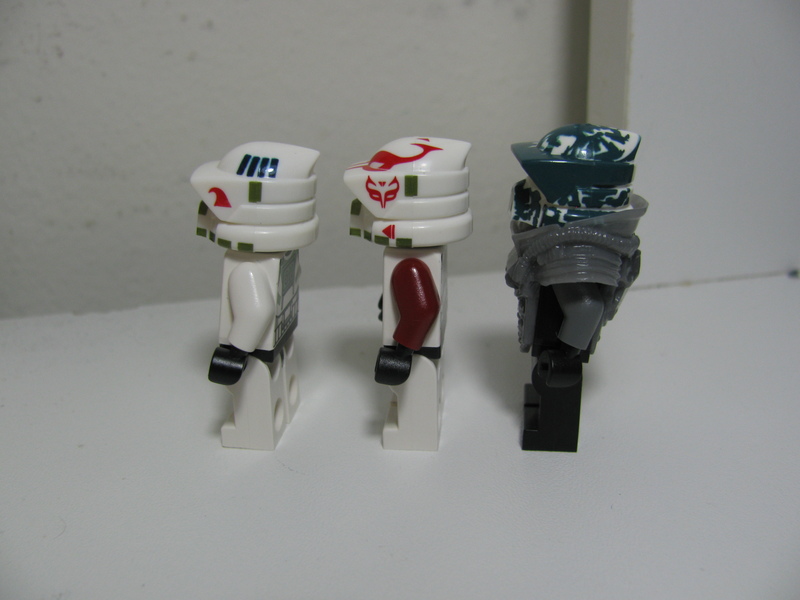 The helmet with this same design was also produced by Lego, but to be honest I do prefer Arealight’s version better as it just seems more visually appealing to me personally. And since I mentioned it, here is a comparison between Arealight’s ARF Trooper helmet and Lego’s helmet. As you can see, Lego has a bit crisper printing on the stripes at the top of the helmet. I’m not sure if it’s just my copy of the helmet or if it’s on all of them, but the stripes on the top are a bit blurred. 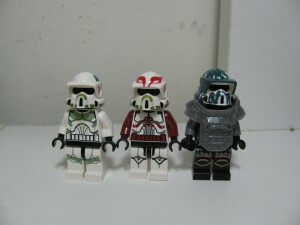 The color for the blocks of color on the front of the Lego helmet match Lego’s sand green (correct me if I’m wrong) while I’m not really sure what the Lego color equivalent would be for the Arealight helmet’s markings. 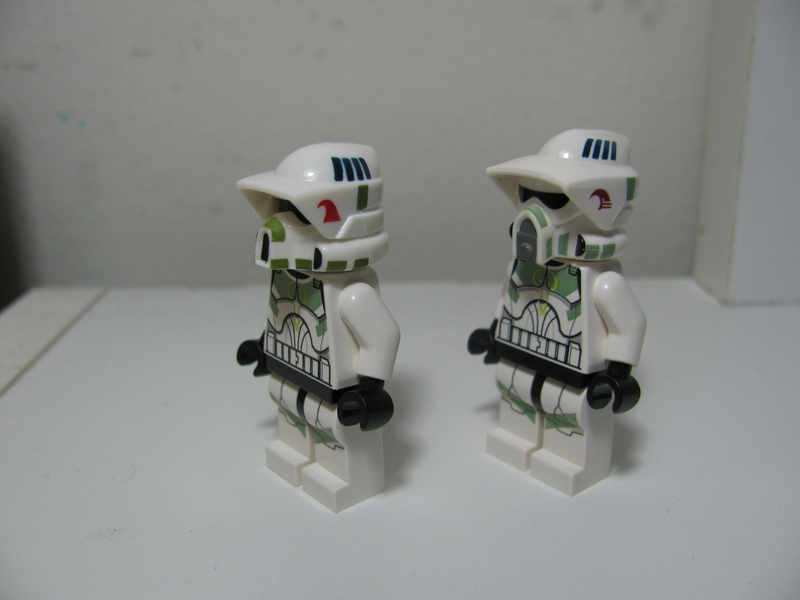 As for the logo on the “sun visor”, Arealight left out some of the small small details there that Lego was able to recreate. Personally, I think it would have looked better if Arealight could have gotten the detail in or if he had altered the logo a bit. 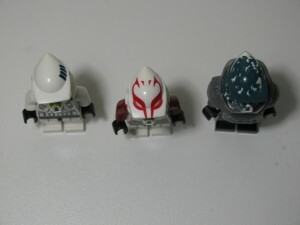 Regarding the shape itself, I personally like the Arealight helmet because it’s a bit more simplistic and surprisingly fits in with Lego figures a bit better than Lego’s version. The fact you can change the visor color by simply changing the head is just an added bonus. Arealight did a fantastic job with this helmet, the detailing matches perfectly to reference and has a great amount of detailing. There really isn’t much to stay about this, the print itself continues all over the helmet essentially. Arealight had even included a detailed print of the emblem on both sides of the helmet. At first glance the helmet’s print job doesn’t seem as good as the other two because it’s a design that is suppose to go all the way around the helmet, but it doesn’t. Beyond that, the design itself is pretty nice. I’m a bit disappointed though, the color of the print currently does not seem to match any sort of Lego parts that are currently out. The closest color to it that I’ve seen is the dark bluish gray. Also the underside of the visor is still a plain white color, so it limits your photography a bit if you want to take a picture of it without showing that white underside. All in all, I feel as if this was a helmet that was sort of shafted by the printer’s capabilities. 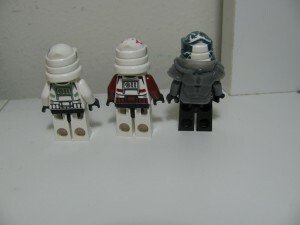 I would say that the ARF troopers that came out this wave were alright, not as good as some of the other printed helmets. But! 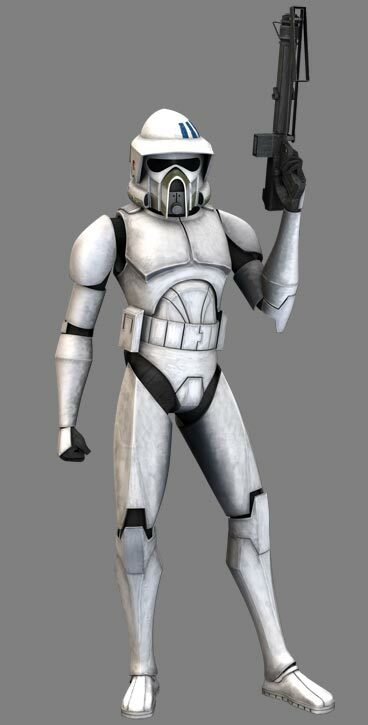 If you do plan on getting one of the three, I would suggest getting the Rancor trooper helmet as you will definitely be getting one of the better printed helmets out there. As always though, the best thing to do is to pick the one you would like the best. I’m just here to help you decide ;). Check back for more reviews and possibly a few “how to”s after I finish these reviews! This entry was posted in Reviews and tagged ARF, Helmet, print, review by Confuzzled Apples. Bookmark the permalink.